What’s the use of an impact driver that loses its impact before it reaches the drill bit? John Dabb, sales and marketing director at Hyde, looks at a new solution that just may spell the end of this dilemma. If you’ve ever driven a high-powered vehicle, or watched a Formula One race, you’ll no doubt have noticed the tyres – far from those seen on standard models that are fine for getting from A to B at little over 70mph on our great road systems, for super-sports cars the tyres need to be able to take the power that the vehicle delivers. As cars have increased in power over the years, so higher torque engines have been developed too, along with improvements to the design and performance of tyres. Imagine if tyre manufacturers had introduced a Torque Reduction System instead; fork out for a brand new Porsche or Aston Martin and prepare to drive it off the forecourt James Bond style, only to find the tyres fitted aren’t suitable and you’ll be hot-wheeling back to the dealer to question why. Why the car analogy? Because the same applies to impact drivers and screwdriver bits, or at least it always used to. Generally speaking, in order to work with an impact driver you needed a screwdriver bit with a torsion zone to prevent it breaking. 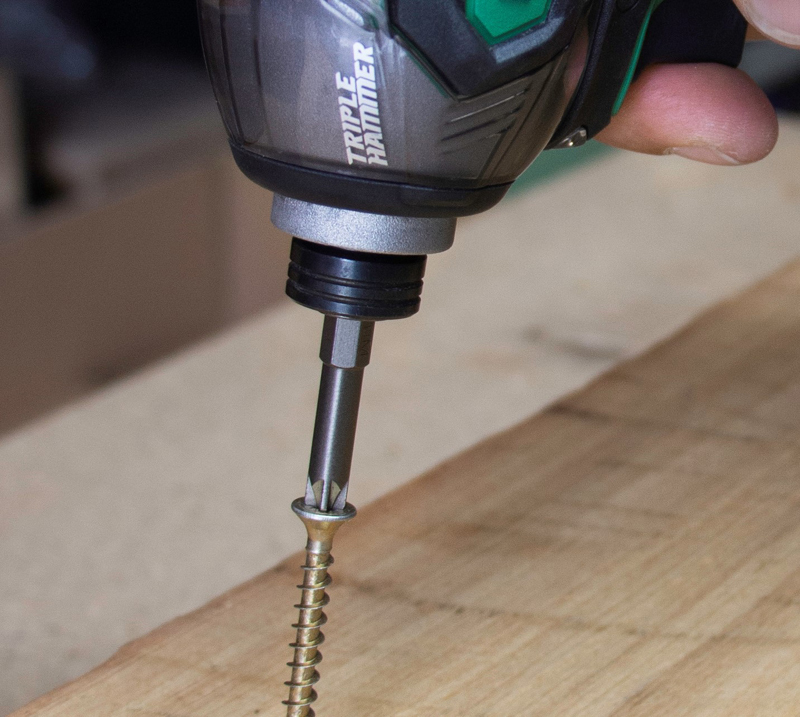 This torsion zone reduces the power that gets through to the screws and slows the whole process, rendering an impact driver, well, impact-less. It may look modern and high powered, but there’s not much that’s sleek about a floor full of broken bits, and even the drivers that boast the highest torque are unable to deliver on their promises thanks to torsion zones. This simply reduces the transfer of torque to the tip of the bit to prevent breakages and allows for some flex to increase the service life of the tool. Regardless of metal used or brand of impact driver selected, the problem is universal, leaving tradesmen with two choices – to buy a premium bit that lasts longer than a standard bit or buy cheaper bits that break quickly. Fortunately, there is an end in sight to this conundrum, and it comes in the form of Durum by Josco, an Australian tools brand, that has developed a range of impact screwdriver bits and made them available in the UK through Hyde. By way of introduction, Josco is an Australian abrasives specialist, established in 1977 and now making its way to UK shores. 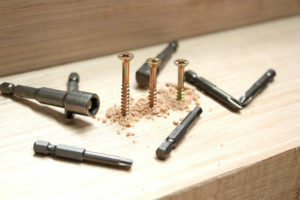 Recognising the need for bits that can cope with the power of modern power tools, a range of impact screwdriver bits have been developed under its Durum brand. Specifically designed to fit European and UK fasteners, using the highest quality steel, exacting standards and state of the art precision manufacturing, Durum screwdriver bits promise to deliver more torque to the tip. A new concept in impact screwdriver bit technology, these new bits are up to 38 per cent quicker with an impact driver and have been developed for use with the latest high torque drivers, to maximise power transfer. The precision tip offers a perfect fit to the screw too. Torsion zones are fitted to reduce stress. When driving in a screw with an impact driver using a Torsion Impact Bit, this very fact means that less power gets to the screw. Each 180° turn applied by the drill is being reduced by the torsion zone. The Durum bit maximises the power, transferring virtually all of this 180° turn directly to the screw. There’s also good news in terms of price too, and here’s where the analogy with super-cars steers off-road slightly. As they don’t need a torsion zone engineered in during manufacture, these bits are cheaper to make and therefore cheaper to buy, unlike a Ferrari, naturally. And crucially they last as long as a premium bit due to the state of the art manufacturing processes they’ve been put through. All of this means that, thanks to the Aussies, the power of your drill can finally be unleashed.